Certain places you visit have far more sentimental value than others. Having the opportunity to finally visit where Audrey grew up in Argentina was a thrill. 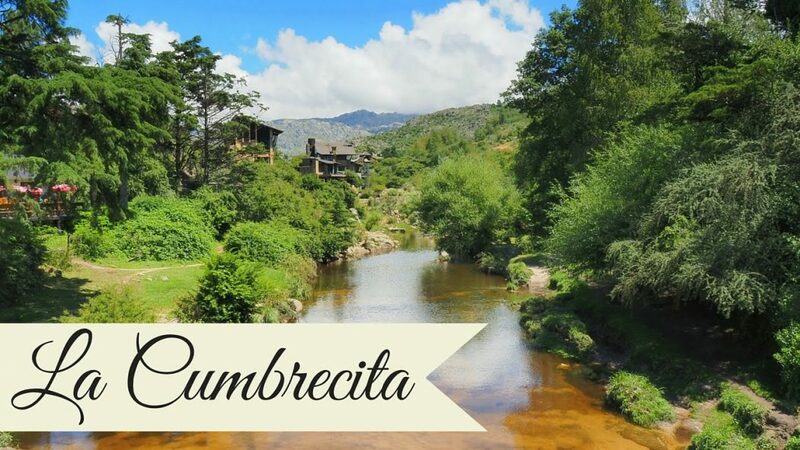 The tiny Hamlet of La La Cumbrecita, located nearby Villa General Belgrano and a couple hours away from Córdoba city, is an adventure playground for those interested in ziplining, rafting, hiking or other outdoor adventures. It’s also a great place to relax and eat German cuisine while sipping on craft beer. Audrey was thrilled to revisit having been gone for nearly a decade. Come join us as we show you around. So today we are taking a little bit of a day trip. 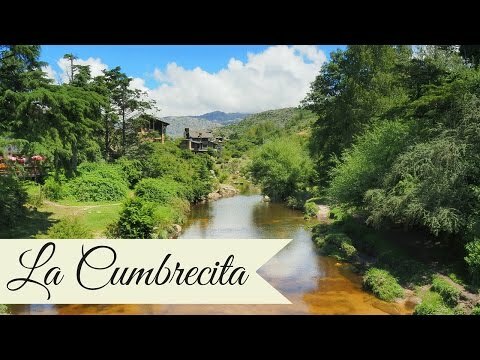 We’ve left behind Villa General Belgrano and we’re going to visit a little village called La Cumbrecita up in the Sierras. And this is where I went to school as a child. So it is going to be really fun walking around and showing you around. Well, welcome to my primary school. This is where I went to grade 1 through grade 6. Except, at the time the building was a lot smaller. We did not have this whole wing. It was just this. Just that. And in the morning it was primary school and in the afternoon it was high school. So it was a very short school day – 4 hours. And I had recess twice during those four hours. So, not bad for a kid. Tip top education there, yeah. I think you have a little bit of work to be done. Not too much. Gandolf! So this is a popular spot on a hot summer day. Yes, apparently it is called La Oja. And everyone has seemed to gather here. There is a little mini waterfall. Yeah, you can go for a swim. Are you going to jump in, Sam? I don’t think so. No swimming trunks today? No. That’s too bad. So next up we’re heading to the waterfalls and we can hear that off in the distance. But I want to show you these really cool roots first. It is like this weird web running straight across here. Follow me. Don’t trip. Don’t fall! How cool is that. That’s very cool. Very cool. And little spooky. So we had a minor miscalculation. When you look at this sign how far do you think the waterfall is? 25 feet? 25 meters? That’s what we thought. But once we started walking we realized, wow, this is like quite far. 25 feet we’re not there. 25 meters we can’t even hear it. It’s 25 minutes. Minutes. So now we know better for the next attraction. Okay, so Sam now you have visited both Villa General Belgrano, the bigger town, and La Cumbrecita. So what are your impressions so far? Well, I like them both. This particular town I like even more though. It kind of reminds me of the town where I grew up in. It’s a bit smaller. And what I really like about this place that is so cool is that it is a pedestrian only town. That’s awesome. You drive in your vehicle or in your bus, you get off and then the rest of it is just walking. You don’t have to worry about vehicles or anything like that. You’re also higher up in the mountains and you experience nature a little bit more here. So that is what I really love about this place. And it is so peaceful. It is. Can you hear the birds chirping? I can hear the birds chirping off in the distance. Chirp, chirp, chirp. I’ve actually been a subscriber to your blog for about 3 years now. I used to comment but stopped. I’m just now going back from the very start of your video posts in 2012 and literally watching every single one! It will take quite a while. You’ve probably noticed me sending a tweet out each time I finish one. Why I’m commenting here is that I’m so blown away that you grew up in Argentina, Audrey!! All my best to both of you…and safe travels!